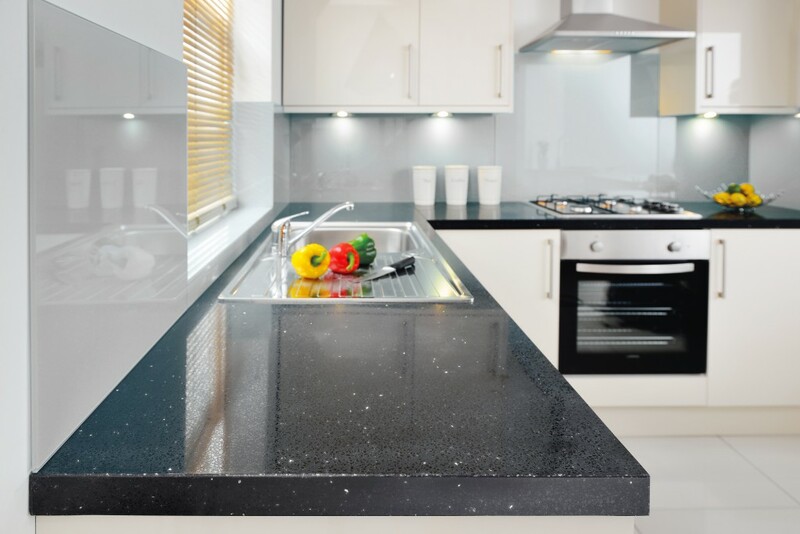 Kitchen worktop specialists Maxtop have seen sales of its monochrome Maxtop Quartz surfaces soar, revealing they now account for over 70 per cent of sales. Five out of the ten Maxtop Quartz finishes cater for the monochrome trend with Black Onyx and Diamond White the two best sellers to date. Stephen Moss, managing director of Maxtop comments: “Since launching in July, we have seen sales of Maxtop Quartz grow steadily, however our monochrome finishes in particular seem to have really taken off. The recently launched modular quartz product features a patented interior honeycomb structure meaning the surfaces are incredibly lightweight and offer the aesthetic benefits of a solid stone surface, but with the advantage of a deeper 40mm profile. Stephen concludes: “Maxtop Quartz really is a unique product, combining the beauty of natural stone with engineered enhancements to deliver a groundbreaking product that is incredibly easy to install.